With a perpetually affable and chill demeanour, it’s hard to pin Rohit Dugar as a craft beer industry magnate, and perhaps the most successful one in Hong Kong at that. Moving to Hong Kong in 2011, the former Goldman Sachs investment banker was frustrated with the variety and quality of predominantly commercial beers around the city, and resorted to homebrewing as a hobby. Seeing an opportunity in the market, Dugar eventually quit his job to start his own brewery a year later. Founder of Young Master Ales, Dugar found himself at the forefront of the craft beer craze that hit the city in 2012, eventually becoming a crucial hand in developing the city’s thirst for fresh, unique and Hong Kong-made beers. These days, Young Master Ales enjoys a diverse and ever-growing portfolio of popular and cult brews, ranging from its classic pale ale to an innovative mixed fermentation programme, a favourite among many of the city’s staunchest beer lovers. The brand is also behind a number of F&B concepts, including beer geek haven TAP: The Ale Project in Mong Kok; hipster enclave Second Draft, featuring Hong Kong-inspired gastropub fare by May Chow; Kennedy Town pizza joint Alvy’s; and Singapore’s artisanal cuisine and craft beer bar The Guild in partnership with chef Vinny Lauria (of Linguini Fini and Posto Pubblico). Young Master’s most recent opening, Goon Goon, has brought their presence north of the border, to Shenzhen’s up and coming Upperhills development in Futian. 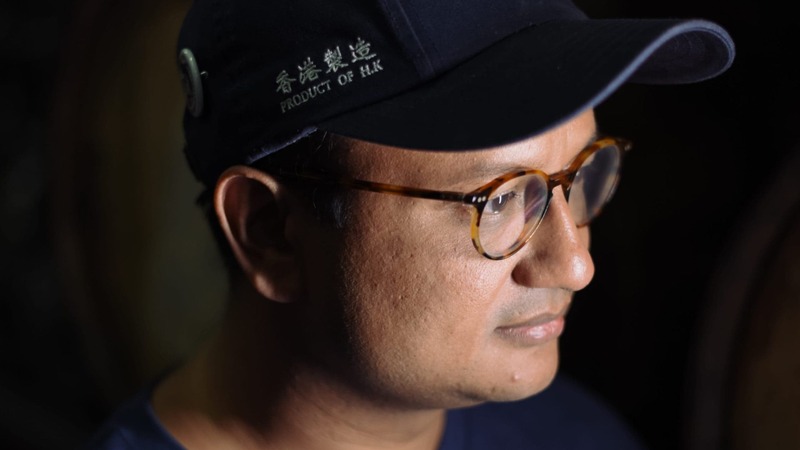 We got to chat with Rohit Dugar on a recent visit to Young Master’s Wong Chuk Hang brewery, to find out just what it takes to brew a successful business in just over five years. Your background is in the finance world, can you tell us about the transition to become a beer entrepreneur? I used to work in investment banking. I used to cover tech, media and telecom companies and give them advice on mergers, acquisitions and IPOs; I did the same in New York before moving to Hong Kong. Professionally, my job had absolutely nothing to do with beer or even remotely the consumer goods industry for that matter, but I used to always enjoy a high quality beer. The US has a very vibrant craft beer scene. When I moved to Hong Kong seven years ago, there was basically nothing at that time that was available and the only way I could drink something that I wanted to drink, was to make my own. Was there already a community of homebrewers at the time? What was the scene like? Not, not initially — it took about a year after I moved to Hong Kong until the Hong Kong brewcraft store opened. Before that I would actually have to buy ingredients from elsewhere, on trips if I was in the States or Singapore. When HK Brewcraft and another store opened, I met other homebrewers as well. In 2012 or so, some importers started to bring in some more craft beer. But I think you only found out about it if you were in the circle. Then, Beertopia started its festival. So that was the first time more people got exposed to other beer. Around that time I started to think about doing something with my hobby more seriously and quitting my job. I found myself doing a lot of research for the rules and regulations, sites where we could serve a smaller brewery. What made you decide to actually start your own business? Obviously I believed in craft beer — I found it could appeal to a lot of people. All these circumstances aligned such that there was clearly an opportunity to build a business around something that I like and care about, and I was at a stage in my career where if I wanted to do something different, if I didn’t want to stay on for the next 10 years in finance, that was probably the window of opportunity to step out and try something else. It was still not an easy decision. I did have cold feet a few times: Initially it was just me and my wife who funded it, you didn’t get a stable paycheck, and you were doing something that has never been done. I think that was the only way to do it though, even though we could have potentially raised money from other people. With something like this where there’s a big creative input, I wanted to make sure that there was a clear point of view and personality. What helped with growth the most in the early days? We’re fortunate that we had supportive clients. All these little craft beer-related businesses opening around the same time actually helped all of us quite a bit — if only, say, homebrewing had taken off, the craft beer scene probably wouldn’t get as much critical mass and momentum. The restaurant industry was also starting to go through a bit of a change around 2012 or so. The likes of Yardbird and Posto Pubblico came along — these restaurants that had a different way of doing things. They weren’t restaurant groups and they had to differentiate themselves purely on the quality of the product. I think we fit in very nicely in that scheme of things. They’re like-minded people, and we helped each other out and built the community and that’s how we slowly bootstrapped and grew, despite it being otherwise very difficult to compete with commercial breweries on their cost structure. Our first breakthrough that signed on our project were hotels such as Mandarin Oriental and Shangri-La. We definitely worked hard on that, but the management at that time happened to have the foresight to do something like this — usually big companies like this aren’t early adopters of anything. Once we were able to convince them to at least try our products, it actually opened more doors because when people see Mandarin Oriental doing something, you want to do the same. To you, what were the major initial challenges? The big one’s obviously that the market is heavily controlled by a few of the big companies and they have the financial resources to offer a big cash incentives. So they would just buy tap space at a bar and they give cash incentives and lock them in for a period of time. It was very difficult for people to break in. In fact, when we started, people told us that if you’re not doing a bottle or can — and cans were even less popular back then — you would never be able to break in. But we thought, to us quality was important. At the time, we could only deliver our quality in kegs. We didn’t have all the equipment to deliver high quality bottles, so we decided we wouldn’t do bottles. It was risky, but slowly we were able to convince people to make space for us, renegotiate their contracts in some cases. It all can only happen if ultimately the customer wants your product, right? What would you say helped Young Master achieve its unique identity? We always wanted to make sure to be very genuine and transparent. People increasingly want to know what goes into products and our bodies: We tell people what goes into the beer and that’s not what big corporations do. And, coming from a homebrew culture, sharing recipes is also what people do. A second important thing was being distinctive: We didn’t want to be a German-style or American-style brewery that happens to be in Hong Kong. We had to make things from scratch, take inspiration from what was around us. Draw inspirations from all the classic styles from different parts of the world too, but applied in a local way. In doing that, one very important thing to me was to showcase the variety beer could have. How did you choose to showcase the variety from the beginning? A lot of people in our generation and maybe one or two previous generations have grown up with a very limited variety of beer: there is some broadly lager kind of beer, maybe there’s a stout and there’s a couple of Belgian styles and that’s to most people, I think, the universe of beers. But if you look at the 10,000 year old history of beer there has always been a lot more variety. It almost felt like a responsibility as the first kind of modern style craft brewery that we showcase variety, even though it would be a lot more efficient to make only classic pale ale, and we probably would have been successful at that time with just one or two styles. But that’s not who we are. So we launched with five different beers — we wanted to make sure we had as full a range as we possibly could from day one. We started our barrel-aging program when we were three months old, usually breweries do that later: it’s an expensive thing to do. It uses a lot of ingredients and then you have to fly these barrels in from the States, and then store them and they take up space, and space is expensive. How many beers do you think you’ve created to date? What are your top three? Well over a hundred. If I had to pick top three… I think our very first barrel aged is special to us for a number of reasons: firstly it was the first barrel aged beer we made, it’s called RyeØ (pronounced “Rio”). We made a second batch of it four years later, but the first batch for an ambitious beer project like that to also come out very close to our target was very satisfying. We’ve kept some of those bottles in our cellar, and every six months or so we open one and it’s been really interesting to see how that beer has evolved over time. Then I would say Cha Chaan Teng Gose: We have a big one-off programme, so this was one of them. We thought we’d make a small experimental batch. It marries an old German forgotten style called a Gose, which uses lactobacillus bacteria with some sea salt added to it. We paired that with salted lime, a combination that just makes sense in Hong Kong. The older German style is also sour and salty, with a different lactic acid sourness versus citric acid sourness, but you combine the two together and it just works as an elegant beer. On a hot day, it’s really refreshing, to me it reminds me of drinking a Pocari Sweat. What was really unique about it is that it actually appealed to both the beer geeks and the novices. It sold out very quickly and has become one of our signature beers now. A third, I would probably say is our mixed fermentation program: the Days of Being Wild series. It comes from the same base, we never fully empty it. We only had the space to do it once our new brewery opened, so we bought this oak fermenter from the States, we inoculated it with some wine yeast cultures from Belgium and also because it’s made of oak and not steel like our other fermenters, it can breed organisms from the atmosphere here, just like in a sourdough starter. Every year is a little bit different and getting more complex and mature. We make lots of fun, contemporary styles with it. We take some liquid out and age it in, for instance, chardonnay barrels, and then we might put some fruit in it and ferment it a second time. We recently released Days of Being Wild Peach, Pomegranate, and Cherry. What is something most beer novices may not know about craft beer? There’s a whole different category of aged beers. We’re actually the only brewery in Asia to have this thing called the foeder — the oak fermenter — that’s designed to do fermentation with wild cultures of yeast and bacteria. These are funky, sour beers and these beers are definitely designed for aging, in fact, some of them are much better if you wait a few years before you open them. People compare these kinds of things to wine, but the beer world is a lot more complex because there’s so many styles with different characteristics. For instance, take bourbon barrel aged Imperial stout as a style. When it’s young, fresh out of the barrel, it will have strong oak notes, some tannic structure, vanilla, coconut, chocolate, those kinds of notes. The mouthfeel will have a bit of sharpness. When you leave it for a few years, the mouthfeel softens, the tannins soften, the chocolate comes out a lot more. And more importantly, I think that develops a kind of umami from the yeast action. Scientifically, it transforms into glutamates, a similar process that happens in, say, parmesan cheese. Tell us about your latest opening, Goon Goon -- how does it compare to the other F&B venues you’re involved in? If you look at other brewery affiliated taprooms, for instance Brewdog, their approach has been, “this is what a Brewdog taproom looks like and we’ve replicated it all over the world.” Our approach is the opposite. The only common thread across all venues is how we manage the beer program. Beyond that, everything else is bespoke to the neighbourhood. Usually when breweries go outside their home markets, they usually simply sell it to a distributor and let them take care of things. But we find that model doesn’t deliver the quality we want to deliver to our customers — a lot of distributors have an incentive to cut corners and not do it properly. So in Singapore, our team directly sells to bars, restaurants, supermarkets, and then The Guild came a few months after. That was the model we wanted to use in Southern China as well. With Shenzhen’s Goon Goon, it was our first project inside a mall. It’s the biggest space we’ve ever done — almost 150 seats. Once we decided on Shenzhen, a city of migrants from all over the country — it by itself doesn’t have its own deep culture — we thought we’d embrace that modern China aspect and not really focus on tradition. The interior is much more modern. The food is designed by chef Aman, May Chow’s sous chef at Second Draft, who is still running the Second Draft kitchen. There’s a lot of preservation techniques, pickling in bar snacks. It is very east meets west: but that will always be the case for us to different degrees. It’s this desire where we don’t want to simply by seen as taking something and just replicating it. We want to do it from scratch. With the rapid growth and popularity of craft beer, do you think we’re close to a saturation point in Hong Kong? In today’s world there’s a quasi-clear separation between what is craft beer and what is corporate beer, but you could imagine a scenario where you don’t really need that distinction. Where the idea of good beer is something that is made with high quality ingredients, that has variety. Where that just becomes a norm — I can see that happening. We have a long, long way to go for that. Five years has been a lot of growth in Hong Kong, but it’s probably no more than 2, 2.5% of global volume. So having that grow tenfold even, is just 20, 25%. We are far away from saturation per se, but what we might see that we haven’t seen enough of is specialisation. I don’t think it’s harder to differentiate, but a lot of the new breweries that are starting are very small. There are a lot of pale ales and IPAs and and people are making kind of the same thing a bit too much. I personally think if they actually had a more focused approach, it would actually benefit them and the industry. For instance, somebody could start a brewery highly specialised in Belgium sours and do that extremely well. We have not seen that kind of specialisation but hopefully that happens, it will be good for the scene. What challenges do you foresee these days? These days, the single biggest challenge for us is space. We will run out of production capacity here as well sooner than we anticipated. So we really need to do something about it. In an ideal world, we can continue to only produce in Hong Kong, but we would need to find a much larger space and that is challenging. Not Impossible, but challenging. In terms of competition and differentiation, even though there are about 30 breweries I see relatively limited competition amongst local breweries — we are essentially still competing with the bigger breweries and trying to get a little bit of their market share. In fact, if more local breweries open, it should be good because it expands the craft beer market. As long as there are quality startups who are doing it for the right reasons and producing high quality product, everybody will benefit. But the biggest risk facing all of us is that there are too many startups who are not doing their homework and simply jumping on the bandwagon. Do you have any advice for people looking to enter the craft beer industry? Do it only if you’re prepared to bring your A-game. If you’re thinking you can come in and do something mediocre, there’s almost no opportunity.